The card association in conjunction with the banks that issue the credit cards to the consumer actually set the transactional cost of credit card processing (known as interchange). They then pass along this transactional cost to the processor, who in-turn adds a profit before providing the retail rate and service to the merchant. The cost or "interchange" is public knowledge and posted on the card brands respective websites. Tiered pricing utilizes the 160 +/- individual transactional costs (know as interchange). Each transactional cost is comprised of a) unique percent of the sale and, b) transaction fee, both of which are dependent upon the type of card used i.e. (debit, credit, rewards, business etc.) and how the purchase was made (in person, over the phone etc.). These transactional costs (which are the same for all merchants large and small) are categorized into either three or four tiers with each tier housing approximately 40 of the 160 transactional costs or (interchange). Twice per year visa / mc review and adjust some of the 160 +/- transactional costs and pass this change along to the processor, who in-turn, may raise the tiered rates to the merchant and create additional profit made on each of its "tiers" (the difference between the underlying transactional cost and tiered retail rate) thus raising the entire expense for the merchant, even if the underlying transactional cost is never actually applied against the merchant for a transaction. Ultimately this can cause the merchants rate to creep upwards over time. Its not simple or very transparent. This type of pricing model can a) be difficult to understand, b) allow rates to increase over time and c) may not provide the best transparency in pricing. Ask for a detailed analysis to get an estimate of your savings. By utilizing a Flat Fee pricing structure for your auto dealership merchant services, you can rest assured you will never pay more than you should for credit card processing. The Flat Fee never changes and rates will not artificially creep up over time. 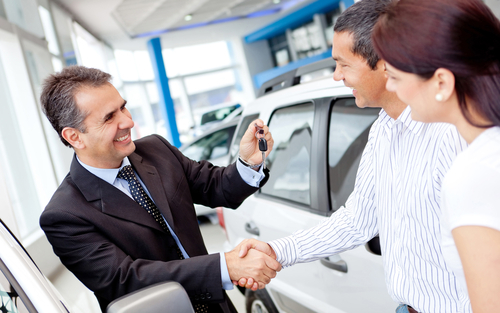 Take a test drive with Novera's Flat Fee Merchant Program dedicated to serving the auto dealership market nationally. Payment integration easy & secure. If you are looking for the most flexibility in accepting online payments then we have the solution for you. Our API option allows you to deliver a complete integrated Payment Solution for your software application, or if your looking for a robust Virtual terminal or maybe you need an E-commerce solution for accepting online payments from your website, we have the answers, solutions and people to get you what you need fast. Give us a call at 703.865.3011 X 701 or send email. Our delivery of a national solution for a specific niche market gives us a volume opportunity. Auto Dealers typically generate higher than normal monthly card processing volume which allows us to provide extreme savings. We help you leverage the Credit Card Acceptance platform to close more sales and keep the after market service from going to the competition. Our management team offers a unique understanding of adding value and improving relationships between our partners and their member or customer. "I was skeptical when Novera presented us with their no obligation comparison of our current card processing services; not only has their projected savings actually come thru, but the personal service I receive from our Novera representatives is better than I expected as well."